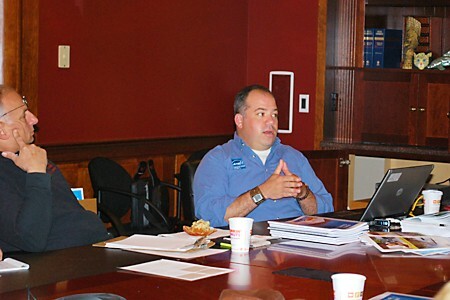 National Lumber is pleased to announce a new Contractor Coaching 6-session Workshop by Remodeling Industry Expert Shawn McCadden with Mark Paskell of The Contractor Coaching Partnership. We will be hosting this builder training for our customers at 245 Oakland St, Mansfield, MA in our second floor Training Room. If you are interested, you must register with Mark Paskell by calling 508-847-0162 or email mark@thecontractorcoachingpartnership.com. Each day you will receive strategies and tools that you can take back to your business and implement right away. Each session will run from 12 Noon to 4 PM. Lunch is included. • Not sleeping well due to money issues and is it affecting your ability to do your job and have a life? • Do you know whether you are buying rather than selling projects? • Are you wasting time with people who will never buy from you? • Are you confident about making it through the current recession? • Are your wondering why other contractors are busy working and you are not? • Will your business be ready to thrive when the economy turns around and work picks up? This new cutting edge education program for professional contractors is taught by Remodeling Industry Expert Shawn McCadden and Mark Paskell of The Contractor Coaching Partnership, Inc. Choose to take several workshops or all of them. The full 6-session program is $750, which is $125 per workshop. 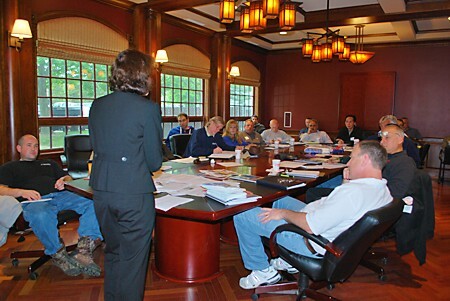 However, you can choose to take up to three of these workshops individually at $185 apiece. If you are interested, you must register with Mark Paskell by calling 508-847-0162 or email mark@thecontractorcoachingpartnership.com. DISCLAIMER: National Lumber is not responsible for the training being offered. National Lumber is sharing this information for your convenience. By clicking on the links you will leave the National Lumber website and be taken to another company’s website. 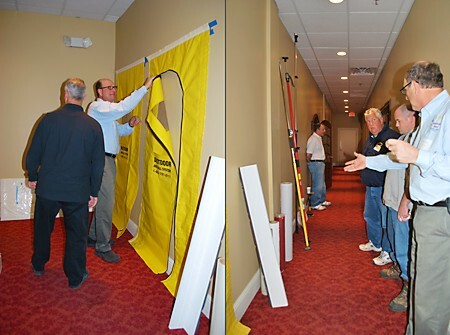 The Massachusetts Division of Occupational Safety held a public hearing last Monday for comments and suggestions about how to implement the Massachusetts version of the new lead-based paint EPA RRP (Renovation, Repair and Painting) law. The hearing was a success as there was a great deal of positive and constructive feedback regarding the issue. Construction law expert Andrea Goldman’s latest blog post is a list of the important issues and suggestions from this hearing. Shawn McCadden has urgent updates about the EPA RRP lead rule in the latest EM-NARI newsletter. The opt-out provision that allowed homeowners to choose whether or not to abide by the RRP lead rule standards has been taken away. After July 6th, 2010, contractors and homeowners will no longer be allowed to opt out of the law. This means that all work that is not complete before that date will have to conform to the new rules, no matter what. Shawn is, however, pleased with the Massachusetts version of the EPA rule. It requires more, but is more clearly defined, and many of the new requirements were already OSHA regulations. Shawn McCadden founded, operated, and sold a successful design/build company. A co-founder of the Residential Design/Build Institute and former director of education for a national K&B remodeling franchise, Shawn speaks at industry events and consults with remodeling companies. He is one of the industry’s leading experts on the EPA RRP Rule and how it affects remodelers and the supply chain. Be sure to also check out Andrea Goldman’s Massachusetts Builders Blog to keep up on the latest news in construction laws. Everyone still has a lot of questions about implementing the new EPA RRP (Renovate, Repair, and Painting) lead rules. We’re trying to help you find the answers. Mark Paskell of the Contractor Coaching Partnership provided us with a PDF of the EPA’s most recent answers to contractor questions, as of March 18, 2010. Here is a link to the PDF file.